Because infrared sauna therapy heats the body directly rather than simply warming the air, it raises the core body temperature and produces a deep, detoxifying sweat at the cellular level, where most toxins reside. In addition, far infrared saunas aid in blood pressure reduction & weight loss, burning up to 600 calories in one session! We offer The first and only infrared saunas to offer near, mid and far infrared technology. wHAT DOES THIS MEAN FOR YOU? 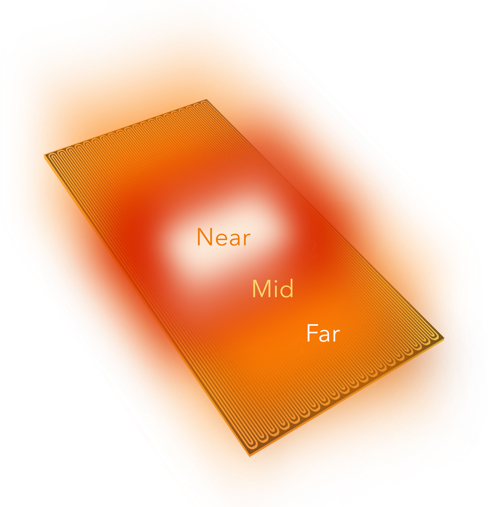 ALL OF THE POWERFUL BENEFITS OF iNFRARED ENERGY WITH verified ZERO EMF EXPOSURE. Want more effective muscle release and deeper relaxation? Combining Infrared Therapy with your Bodiwork is an incredible way to get the most of your time on the table. If you are at peace, this funny thing happens, levels of stress hormones decrease, heart rate slows, blood pressure comes down, and your brain allows your body to start the process of repair and recovery. this Does NOT happen if you are in a state of hyper-awareness! 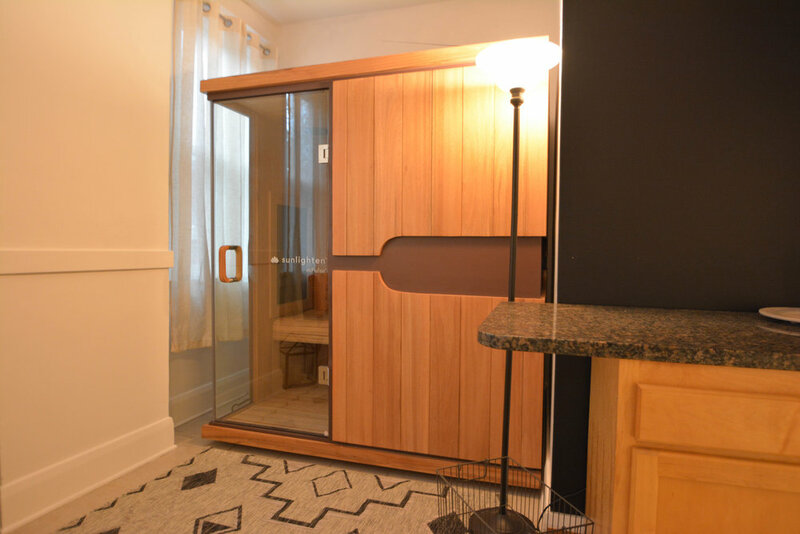 Infrared Sauna tackles both of these challenges by warming you up physically, allowing you to sit quietly, check in with your body, and unwind before you even get on the massage table… pretty cool, right? we know! 2) a full-length, 45 minute detoxifying treatment prior to your time on the table. … No Time Before your appointment? Don’t Fret! Infrared Sauna Therapy is loaded with benefits before or after Therapeutic Bodiwork… so just get your tush in here and start sweating! You can thank us when you’re warm & toasty!